As of January 2016 this is still an active construction/restoration project. 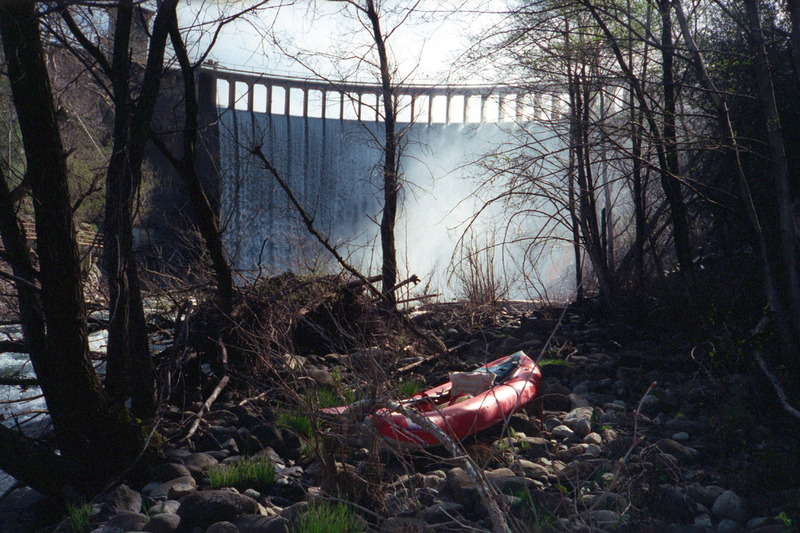 Boaters should use extreme caution when passing through the project site. 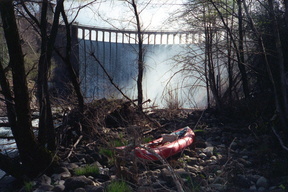 In particular, logs and other structures have been placed in the floodplain area as a standard riparian area habitat restoration procedure, and could create serious hazards to boaters at high flows. In 2005 a kayaker died in a brushy passage below San Clemente Dam. Due to decades of low flows, this is still the brushiest segment, but cross-channel logs and brush are possible elsewhere. Despite brush, rapids are numerous and water quality is excellent. 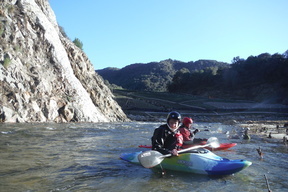 It runs only after seasonal rains fill Los Padres reservoir, which spills. In cold years there could be snowmelt from 5000' Ventana Cones and Chews Ridge. The highest put-in is on USFS land. A more convenient put-in is at Cachagua community park. The take-out is at Rosie's bridge on Esquiline Road near Carmel Valley Village. 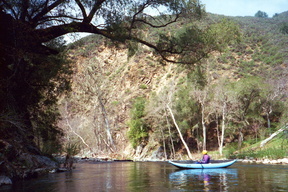 There are houses in the early portion of the run, but after the river turns away from the road, you are in wilderness, which ends only when you encounter the former San Clemente reservoir. 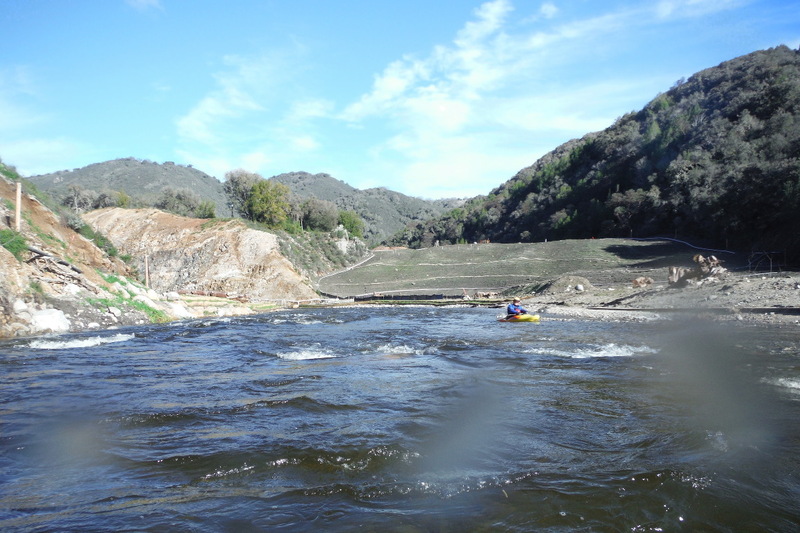 Because the Carmel arm of this so-called reservoir (only 75 years old) was completely silted up, a hole was puched through a mountain to the river into the San Clemente Creek arm, which was not silted up. Below the dam, good rapids continue unabated, but with more brush. Hazard! 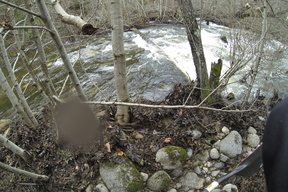 Down logs are possible, and parts of the run are brushy, so remain alert and avoid extreme highwater. After a string of drought years, brush conditions might worsen considerably. 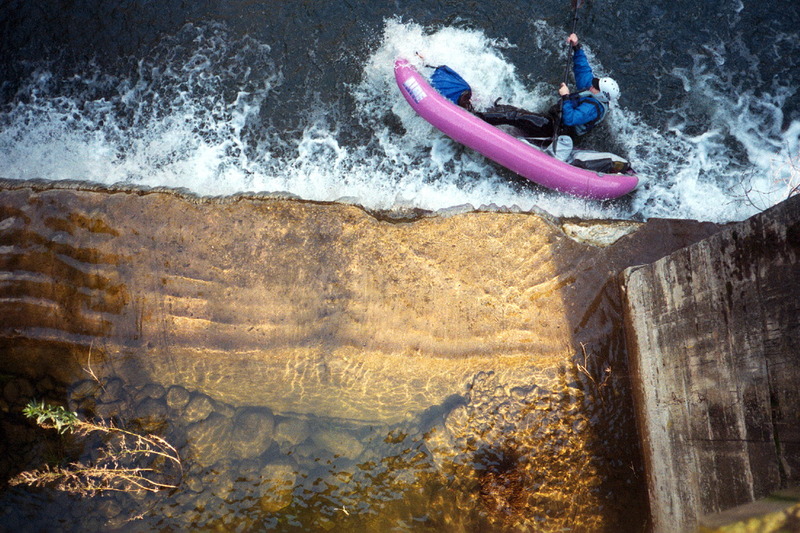 The braided channel maze near the end, below Tularcitos Creek, is usually bad. 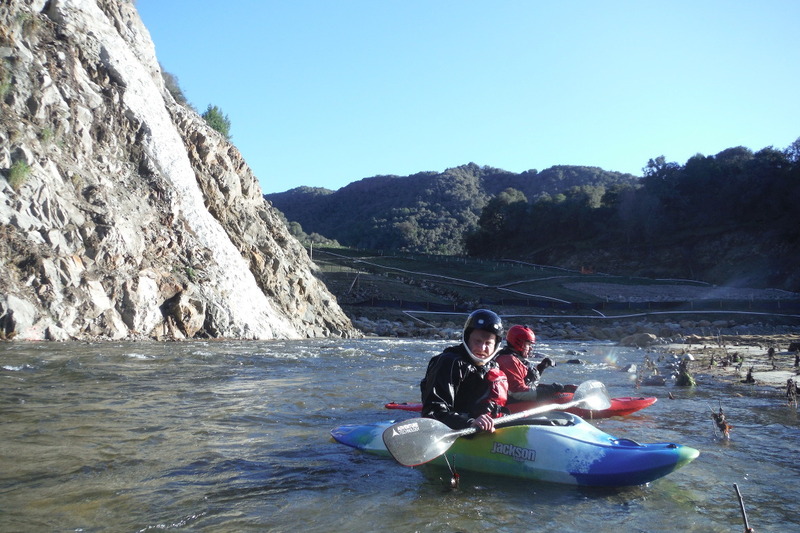 Hike your boats .5 mile up a dirt road to the earthen fill structure of Los Padres Dam. A good side road leads down to river right starting at the bottom of the hill. 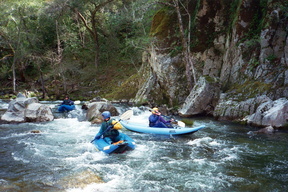 Fairly continuous class II and III rapids begin immediately. At least one log portage is encountered at Cachagua community park. County park on the right bank, with plenty of free parking, an alternate put-in for those not inclined to carry their boats. 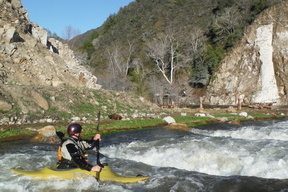 Rapids ease a bit as the river passes residences along Cachagua Road. Log portages are often encountered in this section. 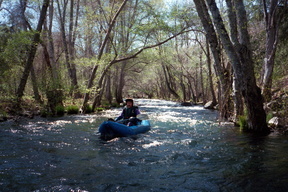 The river turns away from the road and enters a scenic wilderness. Gradient increases, and soon you find yourself in a canyon. Thus begins the most enjoyable part of this run. 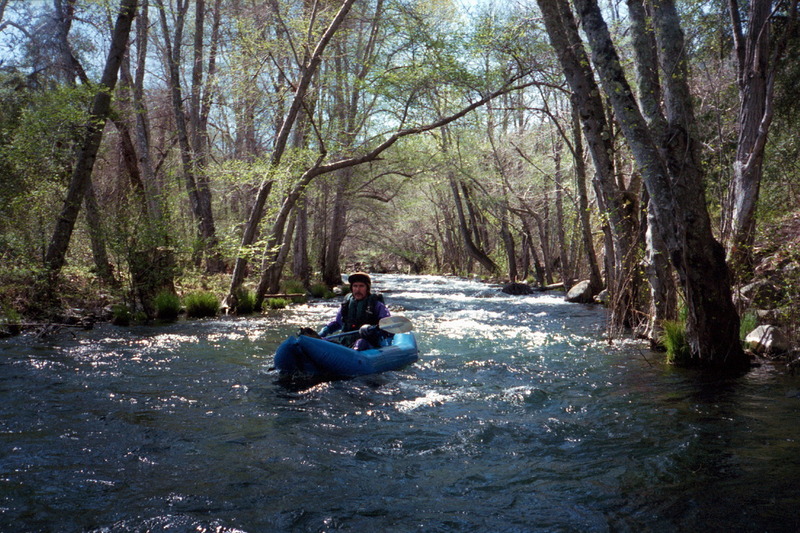 You might want to look at some of the rapids ahead: most have an easily visible route if you stand up in your boat or on the riverbank. 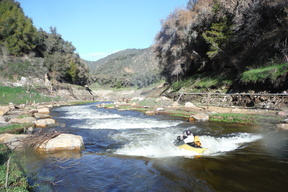 Pine Creek enters on the left, shortly below a class III rapid. 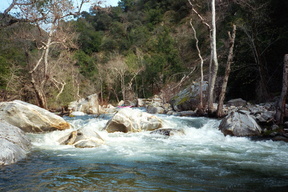 Gorge Rapid, Class III+, marked by big boulders ahead. 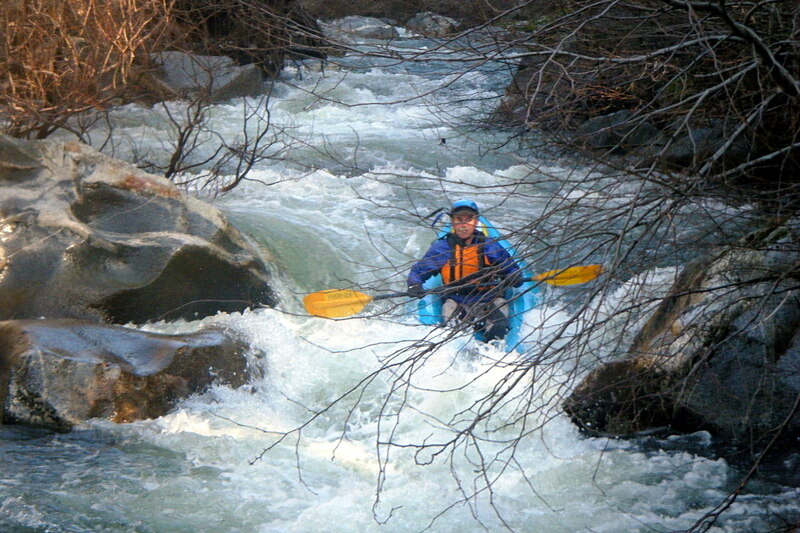 At low flows, this rapid is easily runnable down the left side. 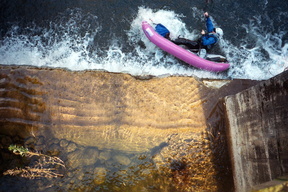 Near the bottom of the rapid, just above a large rock with water piling against it, is an undercut flat rock; slant left to avoid it. The far right channel is a sneak route at higher flows. Recently a lot of willows have grown into the channel below this rapid, especially on the right side. 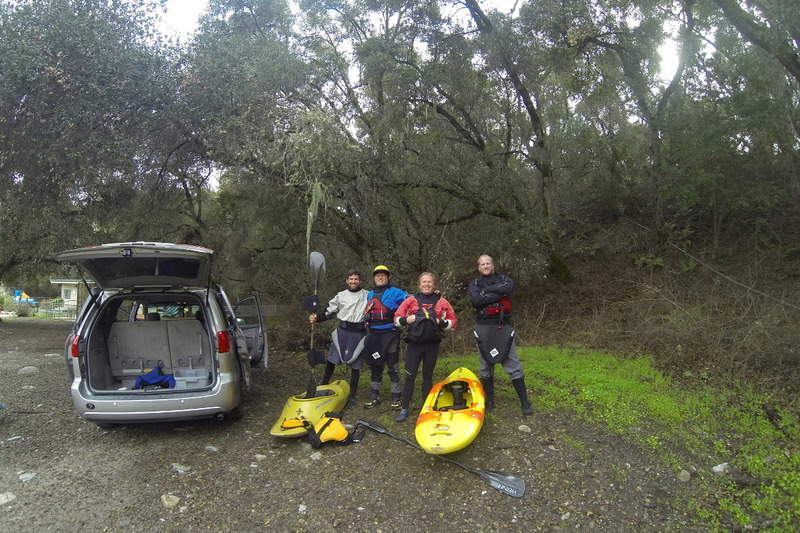 Sandbar flats above former San Clemente reservoir begin. This section may have brush hazards from the recent drought. 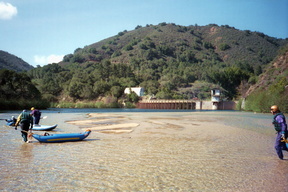 Former site of San Clemente Dam. Blasted concrete visible on right. 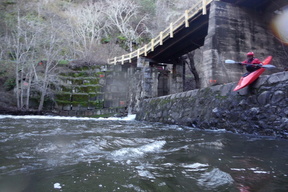 The next two photos were taken before dam removal. Bridge with road and diversion, with a cement spillway beneath. The right side contains a narrow concrete channel, the only egress at low flows. 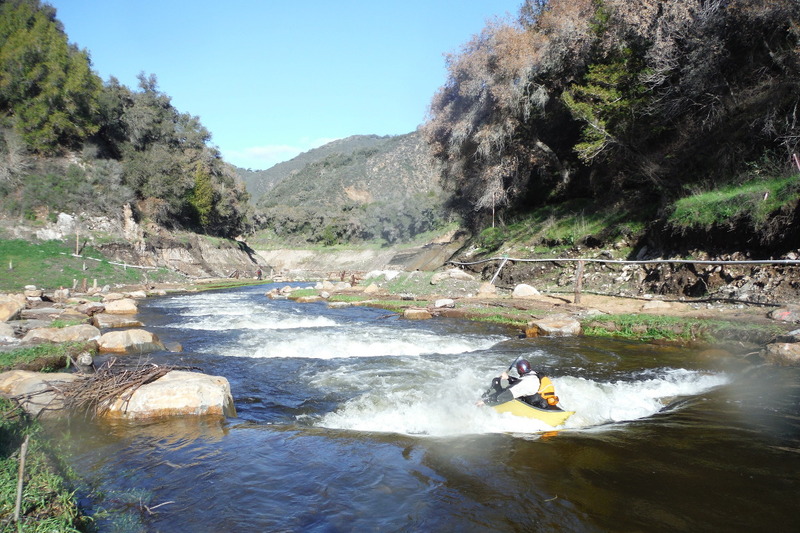 At high water you may choose to run the left side. At low water, you can seal launch, or portage along the fishladder. Reportedly this structure will be removed. 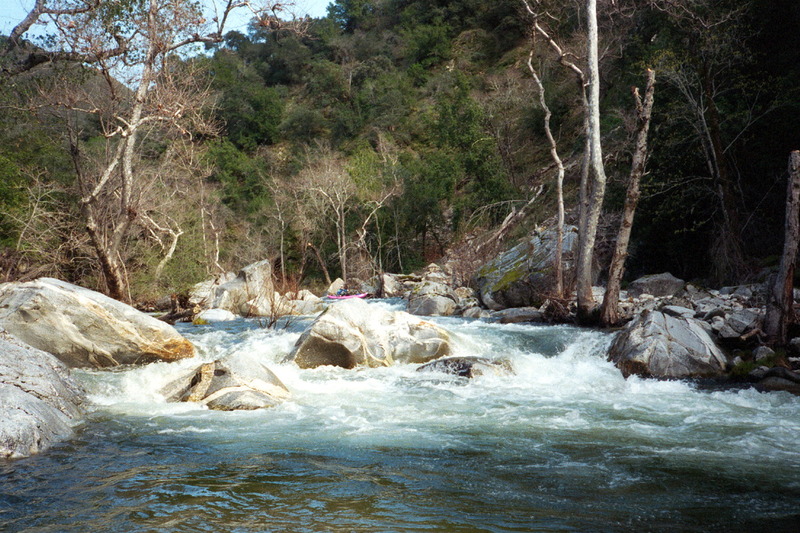 Tularcitos Creek enters on the right, and the river approaches Carmel Valley Road. Maze-like willow garden. 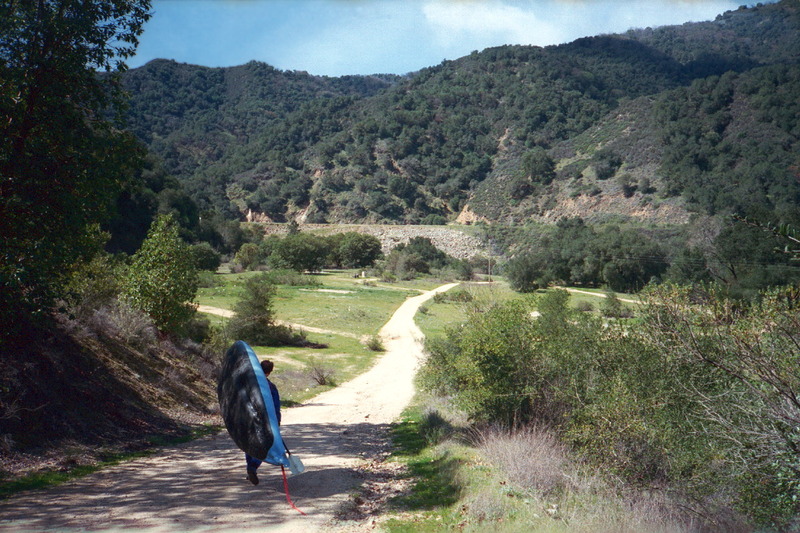 Once we got lost near Tularcitos creek, but later discovered clean route on the far right (March 2000). You soon encounter houses and bridges of Carmel Valley. 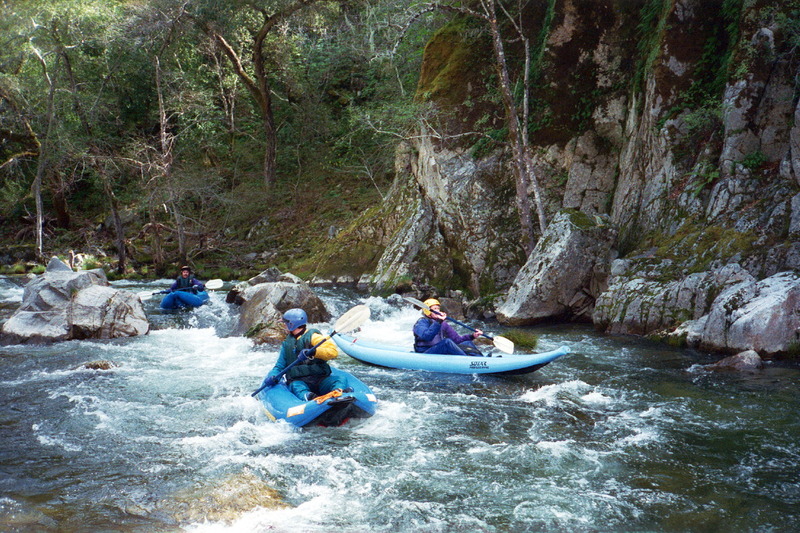 Rapids ease somewhat. Take out on the right bank below Rosie's Bridge on Esquiline Road. 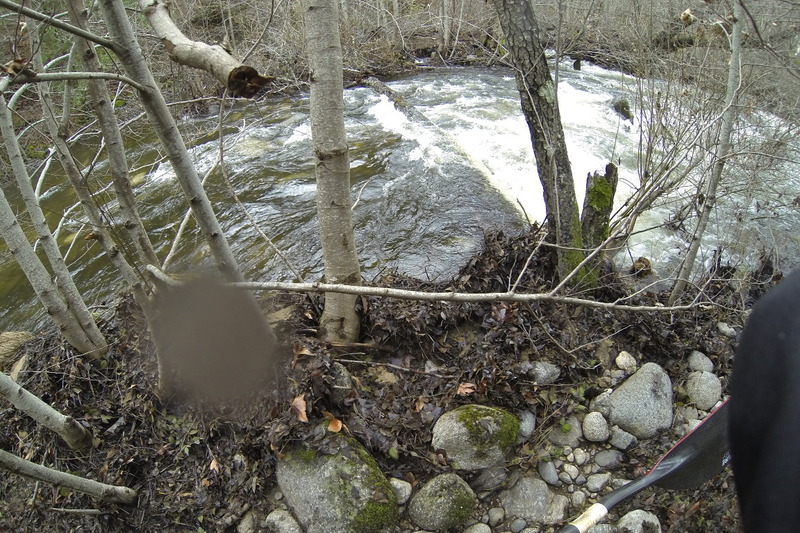 Moderate rapids and continuing brush hazards with good scenery continue to Garland Park and beyond. The remaining 13.4 miles to the Pacific ocean are described as the lower Carmel. 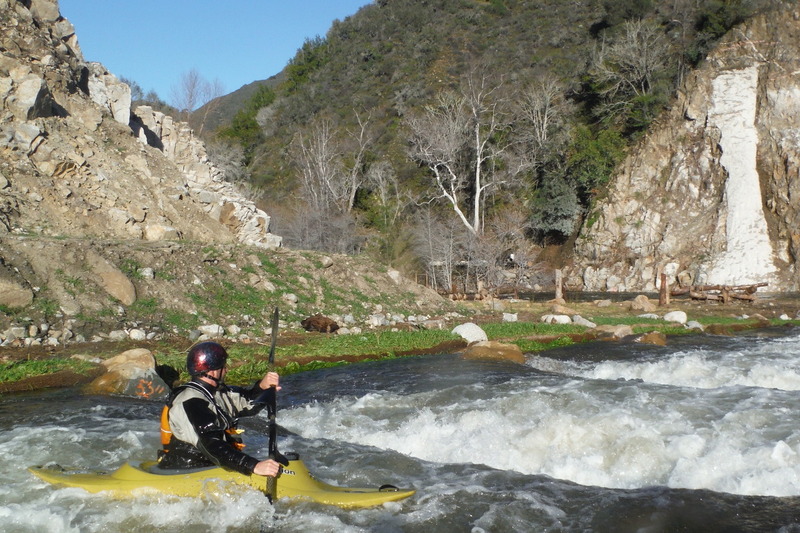 At moderately high flows, you could combine both runs into a marathon paddle. Alternatively, select volunteers to run shuttle from Rosie's bridge while luckier paddlers spend a pleasant hour paddling down to Garland Park. To reach take-out, drive southwest on Carmel Valley Road (G16). From highway 101, the easiest route is from Salinas on highway 68, then south over Laureles Grade (G20). Carmel Valley Village is two miles uphill from Laureles Grade. At the far end of town, turn right onto Esquiline Road, descend to the river, and park on the far side (left bank). To reach put-in from there, continue uphill on Carmel Valley Road. After about 3 miles, turn right onto Cachagua Road. 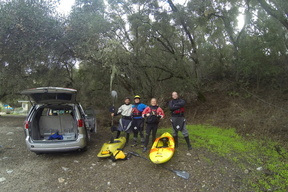 Climb steeply over Tularcitos Ridge, then descend steeply to the Carmel River and Cachagua Creek valley. Near the bottom of the hill after 5.9 miles, turn sharp right onto Nason Road. Cross several speed bumps to County Park on the right, where the good pavement ends. This is an alternate put-in, with public toilets and a children's playground. Continue uphill past the ranger station and park in a dirt lot where there is a fence with locked vehicle gate. 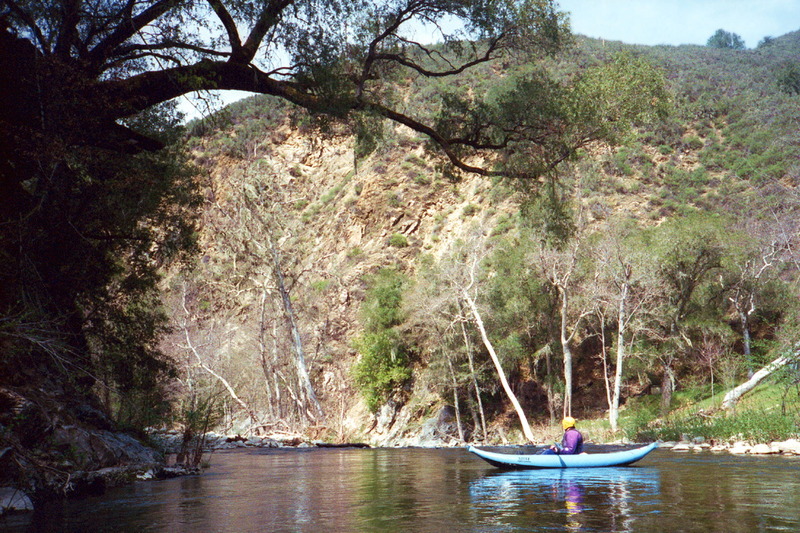 Enter the unlocked hiker's gate and carry boats on a dirt road .5 mile to Los Padres Dam.